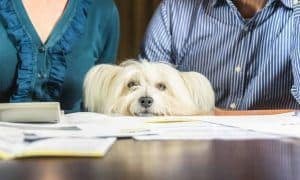 We have all read about or heard of instances where a dog naturally senses something is wrong, be it a home fire, intruder, or the dog’s owner needing help and the dog either protects his owner or goes for help. 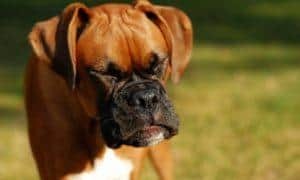 These are amazing and great stories concerning the bond formed between man and dog but have you ever considered this: can dogs sense seizures and heart attacks? Consider the case of a lady from New England who suffered a heart attack. Her dog “sensed” she was about to have the heart attack, and when the lady in fact did, her dog stayed right by her side keeping her awake until medical personnel arrived. Later, at the hospital the doctor who gave her care told her she would have died had the dog not kept her awake. So, the answer is yes to the question of can dogs sense seizures and heart attacks? The evidence is irrefutable that dogs have a keen ability to sense when a major event is about to occur. They sense impending earthquakes as well as the onslaught of weather related events. 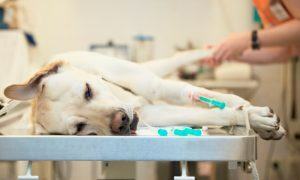 Dogs are being trained to detect cancer in humans as well. Research has shown this uncanny ability is not linked to a change in a humans electromagnetic waves as many thought but has been narrowed down to smell. The typical dog has ability to smell at least ten thousand times better than a human and the research is showing this is the sense a dog uses to detect the onset of a medical crisis in their owners. The human body apparently gives off a distinct odor as a result of specific chemicals being released in to the blood stream before or perhaps during a seizure or heart attack. Your dog can smell and associate this change of you normal smell and understand you are in impending danger. 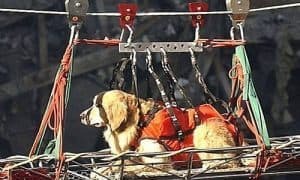 This is amazing, and lends credence to the many stories we have heard about over the years of a dog saving his owners life by warning of the onset of serious medical issues. The woman described above told of how her dog pawed at her, nudged her, and even nipped at her clothing to keep her awake until help arrived. How the dog knew if she went to sleep she would die is a mystery but her faithful dog did know this and saved her life by keeping her awake. 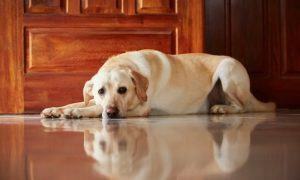 Can dogs sense seizures and heart attacks? The research and actual evidence suggests the answer to this question is an emphatic yes! The truth is, seizure dogs can not be trained to “alert” a person of an oncoming seizure. Therefore, a seizure dog may be useful in assisting a person during or after a seizure, but is not guaranteed to be able to “alert” a person of an oncoming seizure. Maybe some dogs can sense it beforehand, but professionals in the field generally don’t think so. What are your feelings on this story? Comments are welcome below. On January 8, 2018 my 3 month old blue heeler woke me with continued whining. At 3:10 am after about 2 minutes of her whining I got up, released her from her crate and headed upsyairs and out back to let her go potty. At 3:15 am I was in acute attack having what was calked “the widowmaker” heart attack. I went downstairs to get my phone, dialed 911, woke my husband and handed him the phone. I then went upstairs to our living room where I immediately went into cardiogenic shock. When the Fire department paramedics arrived a short time later a brief exam led them to load me into their firetruck and immediately transport me to the ER where within 45 minutes a cardio surgeon placed two stents in my dying heart. I had 100% blockage in my LAD at the aorta and 75% blockage in my right coronay artery. Without “Pepper’s” warning and the firemen’s immediate action I would not be here today, March 28, 2018. The fact that I am alive is testimony, to me at least, that canines even very young canines have an inate sense of human health emergencies. At this time I am having trouble keeping her off my lap, and find that if I nuzzle her she’ll back off a bit. As I heal I expect she’ll trust my health enough to stop having to smell my face and remain touching me. We are all doing well and trying to remain aware of my continued rehab. I have seizures every day. They are partial seizures. I have a seizure alert dog that works just fine. He gives me 20 minutes warning before the seizures happen. And it is very consistent. I also test all of the dogs for Canine Partners for Life to see if the dog alerts or not. Probably 10% or less alert. I think it maybe a little higher if you were completely bonded to the dog. I looked this up because I am curious about this subject. I have a dog she is almost 2 yrs. old and I have had her since she was 3 months old. She is fairly friendly once she gets to know you. My brother in law has been trying since I have had her to get her to come to him, or let him pet her. A couple of weeks ago he came in the house sat down and she walked straight up to him put her face up to his face nose to nose but not touching and stayed there for several minutes then she backed off a little and let him pet her. We just sat there could not believe it. Within the week he had a heart attack. She has had very little to do with him sense. She reacted to another person who has been know to do drugs months before this happened. I received my Masters from Bergin University in Canine Life Sciences/Service Dog Training. 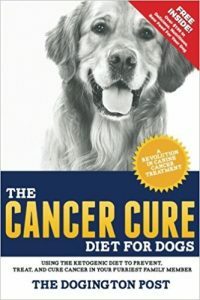 I worked at the Pine Street Clinic briefly talking to Dr. McCullough and watching him do the ovarian cancer research with the scent detection dogs. I currently own a company in San Antonio, TX, where I train all types of Service Dogs. One in particular, a Belgian Malinois named Nacho, has been consistently alerting to people with medical conditions. We do training in several hospitals and clinics because the handler needs Nacho for his own medical conditions. However, on numerous occasions, Nacho has literally pulled us toward people – alerting one patient who was experiencing a heart attack, alerting through closed doors to people experiencing heart conditions, and alerting to people who were in treatment for cancers. This dog is truly a miracle dog – in my 5 years of training, I have never witnessed such a dog. Is there any way this dog could be used/featured in your program – or do you know of any ongoing research in the Texas area where Nacho could be of service? The handler would be willing to travel anywhere to offer the services of this amazing dog. Please respond ASAP. I have a Boxer that “self-trained” to sense my blood sugar levels. He is now a diabetic alert service dog. He senses my glucose levels by sniffing my breath (I often awake to the tickle of his whiskers on my face) and in particularly in hot weather, he will give me the ‘third degree of sniffing’ up and down my legs and arms, face and neck, often tasting with a kiss to check my Blood levels. If I am loggy and tired he stays by my side and stamps his feet, licks my face until I get up and check. He’s relentless. On the other hand, when I have ketoacidosis (high glucose) he gets hyper and jump all 100 lbs on me to get some insulin in me. I am also deaf and training my white boxer as a hearing alert did. I do wear hearing aids but cannot hear an alarm – fire, carbon monoxide, doorbell, or telephone. I an teaching her commands in sign language! She is only 12 months old and still on training but super smart. In spite of my illnesses, I am very lucky to have my two best buds…Wrecks and Daisy. I guess you have to determine a meaning for alert. My seizures generally fall in the partial complex category but range from a ultra mild to full generalized. And they often progress in intensity. Most of the mild ones I (and most people nearby) am not aware of, extremely rare for me to have an aura. Cassie can detect me having the mild seizures I don’t recognize. I definitely accept that recognition as an alert, especially when she has stopped me from leaving my home prior to a general seizure.